Did you know that 40% of stressed people overeat or eat unhealthy food? 44% loose sleep every night. What about you? Have you ever measured how stressed you are? Here you can take a short test to evaluate your stress level. In our ever-changing world, it is very important to relax. Today Bright Side has prepared for you a collection of funny gadgets. Of course, these amusing things won’t solve all your problems, but they will help you to face any difficulties with a smile. This is how some of us look when we get out of bed on a Monday. Just know, if you press your belly and nothing happens — you are happy. 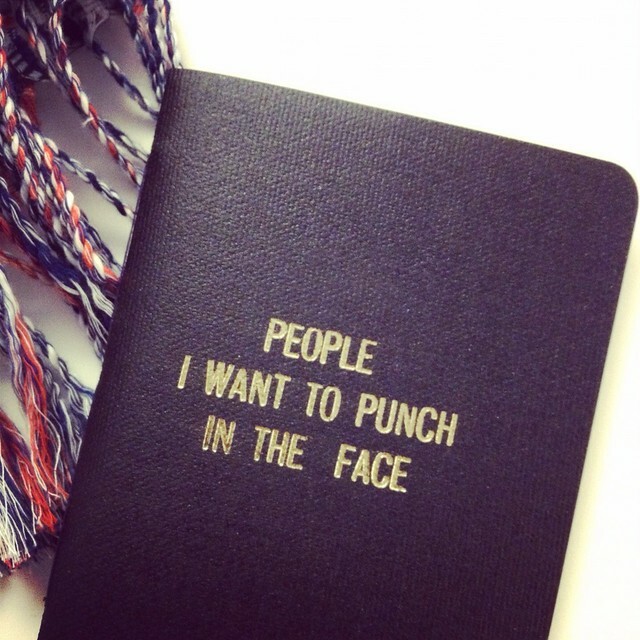 For when your memory is not enough and you want to make a list of priorities. Play this game with a person who makes you mad. Put all your hate into a sweet smash. For adults, you can use mud for this moment! This gadget is supposed to help relieve stress by stimulating your head and neck. We are not sure if it makes you smile like the man in the photo, but maybe it’s worth trying. Psychologists will confirm that all your emotions should be released in the proper way. If you shout at your boss, it will give you relief...until you find your wallet empty. This scream jar is designed for those who have to suppress their hate. It can take any form — your ex, your boss, or shouting neighbors. You just need a creative imagination to work out what you will do with the result: smash, break, or squish it! Imagine that you have written a very emotional email where you say that you hate your pet peeve. Or perhaps you want to say that something is an impossible task to do in such a short time. But you can’t send such messages because they will ruin your reputation or your career. Have any situations like this ever happened to you? You can “send” all of them by hitting this Enter button with all your might. We hope it will bring relief! In case you have an iPhone and can’t smash it against a wall. If you play Shock Lie Detector or Crocodile Dentist, there will be no place for stress anymore. It is more important to maintain your ability to speak without stammering and save your finger. Release stress by spending time having fun! How can people feel stressed when there are such nap pods in their offices? The first step to life without stress is a healthy sleep when your body requests it. Bring this nap pillow everywhere you go, and you will be able to take a few short minutes of a sweet sleep in any place. If pranks are your way to relax, look at this cool thing. Put a whoopee cushion on a colleague’s seat before an important meeting, and enjoy. Don’t forget to turn the camera on! Talking with people you don’t like uses up your energy. This repellent is for such situations. Instructions for use: When an appropriate person is detected, aim it at the object, and spray into their face for a second. We all dream of fresh waves and the warm sun on a beach. If it is not time for your vacation, bring the beach into your office instead. Important note: this tool is not designed for use by cat owners. All our problems are in our heads, right? So the best way to get rid of problems is to get rid of heads. Joke! To structure your thoughts and find needed decisions, use this massager. Bake your enemies, and eat them with a cup of coffee. The real sh... problem is in your hand right now. The rest of your difficulties can be solved. If you are too stressed, only a proven remedy will help. Do you have any funny ways of coping with stress? Do they help? Don’t forget to share the results of your stress test in the comments!